This work was made during the artist residency Te Whare Hēra in Wellington, New Zealand and shown as part of her solo exhibition Agassiz Down Under that was held at the residency gallery from 8.–22.7.2015. Excerpt of Cassandra Barnett's recent talk at the St Paul St Gallery Curatorial Symposium, Auckland on how the complexities between 'new and old' knowledge systems can interact today. Key themes of the symposium were: ethics, education and indigenous knowledge. 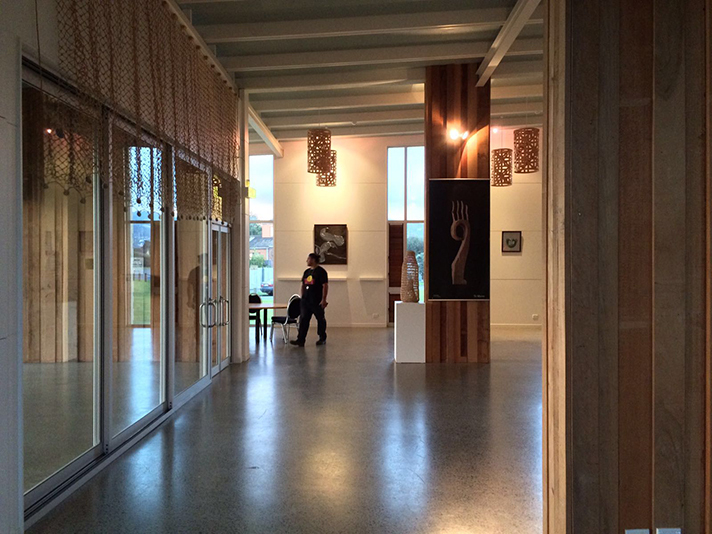 "At the Te Whare Hēra artists’ residency site in Wellington recently, Massey University’s then artist-in-residence Sasha Huber, her partner Petri Saarikko and their son Basil had a farewell. 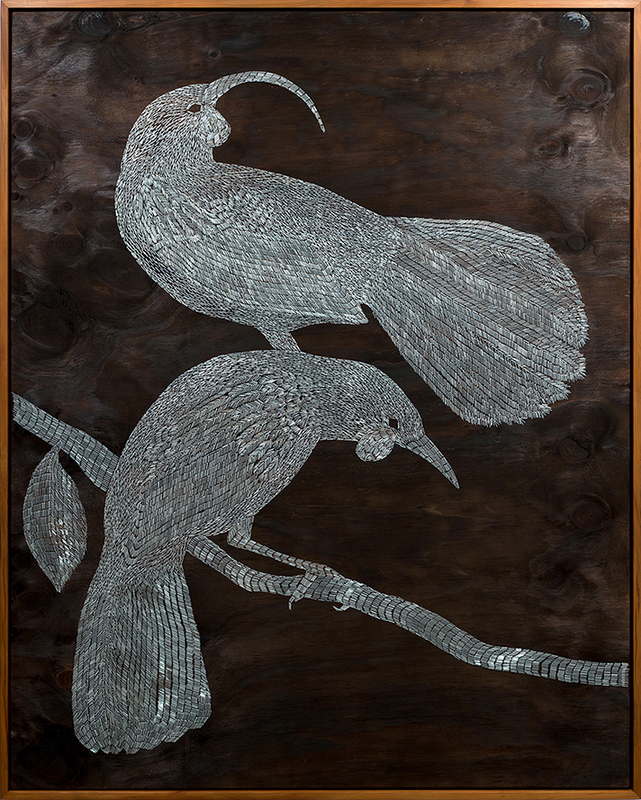 During that occasion, in a small formal moment, Sasha gifted her silver staple-gun portrait of two huia to local Te Ātiawa artist Ihaia Puketapu to take home to the Te Maori cultural center across the road of the Waiwhetu marae, as she felt it should stay on this land. Ihaia in turn presented some taonga, a sperm whale bone heru made by Ihaia for his wife and gifted from her to Sasha, and two pounamu from his grandmother for Petri and Basil. Two economies exchanging in the cultural interface, in a zone of indiscernibility. Artwork become taonga. Taonga become artworks. Drifted, perhaps, yet resolutely carrying their mauri with them into new realms. 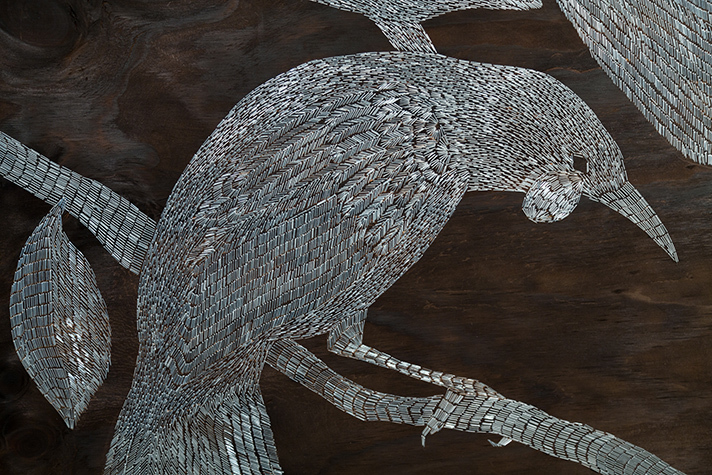 It is an image of heterogeneous lifestreams held together in a moment’s resonance. It works because the European manuhiri (though as mentioned Sasha has Haitian whakapapa too) started from a place of unknowing the dominant paradigm they carry with them – by gifting something that could have been sold on the global market or at least entered into the gallery system. Instead, it enters a Māori paradigm, and starts accruing kōrero… Other values surface too: utu, kaitiakitanga… The huia will stay in Aotearoa, they will survive. Images are not just images, they can carry mauri, wairua, mana, ihi, wana. In the moment of the exchange the visitors embody these knowings just a little and – perhaps – see more than they saw before. Ihaia’s taonga can flow over. There are tears, and for a moment the distance between all of us present is broken. Of course once the kōrero starts the understandings may fail. The full resonance of that gift may be lost on many – but it is not lost. And it might just have been a moment’s reparative knowing, a moment of ceremonial encounter kindling the affection between us, a moment’s practice at joint housekeeping. A moment’s understanding that, as the whakatauki goes, He waka eke noa. We are all in this boat together." 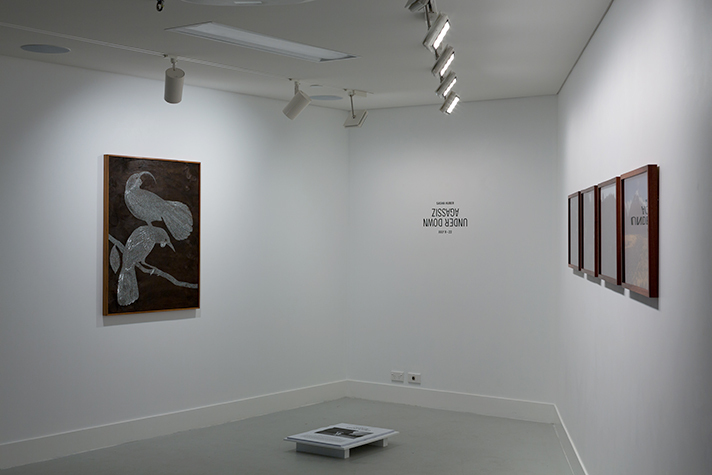 Agassiz Down Under, Te Whare Hēra Gallery, Wellington, New Zealand, 2015. Photography by Matt Paterson. 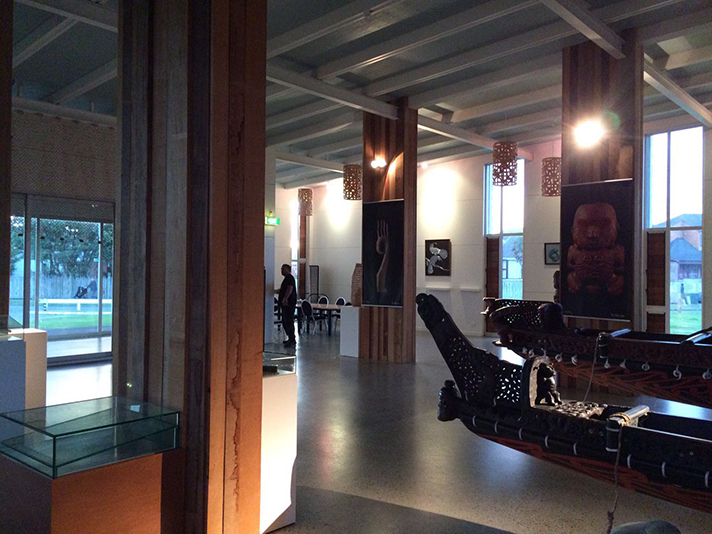 Te Ātiawa artist Ihaia Puketapu at the family museum near the Waiwhetu marae. Photography by Petri Saarikko.